℗ & © 2001 Pussyfoot Records, Ltd. Printed and manufactured in the USA. Marketed under exclusive license by Rykopalm. 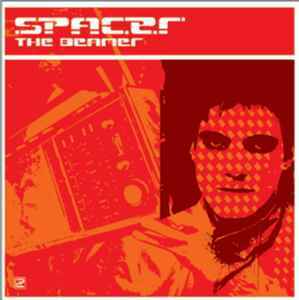 THE BEAMER, sadly, is Spacer's final album. Sad because this third album continues the future jazz of his previous albums, with the tracks slightly shorter, but more focused. Needless to say, the quality hasn't changed. The deep bassline and romance of "Smile," segues into the upbeat, jittery funk of "Cursory Rub." The title track has a paranoid, anxious feel as it races forward, while "Houston" starts the mood with a gypsy fiddle that gives way to dark, symphonic stabs. "Doomsday" brings in a 4/4 kick drum, while "Dark Fader" punches up the breaks. The bass on "Matamanoa" keeps the groove throughout, and "Is It Real?" ends the album with delicate piano chords and vocoders, firmly secured by a thick dub bass. Let hope that one day, Mr. Gordon returns to producing his own work.